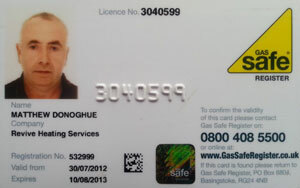 My name is Matt Donoghue and I am the owner/operator of Revive Power Flushing at Welwyn Garden City, Hertfordshire. As a heating engineer/plumber for many years. I realised that about 75% of heating system breakdown calls that I attended was caused by the formation of iron oxide sludge and corrosion in the system. This is due to poor maintenance over many years. From replacing boiler parts / pumps / valves etc. to cutting out and replacing blocked pipework. It was clear to me that if these problems could be prevented, it would save the customer a great deal of expense and inconvenience. I also knew from my experience in the trade that only by using professional Revive power flushing equipment and chemicals that I could achieve the best possible results for my customers. Having had much experience in the installation and repair of all types of systems, I felt that I was well placed to make this my specialist area of work. With a new van and new Kamco professional power flushing equipment and a good stock of spare parts I started trading as Revive Power Flushing. I choose the name Revive because as the name suggests it would reflect what I intended to do with existing inefficient and poorly maintained heating systems. 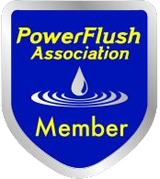 Despite much temptation to expand, I have chosen to continue to provide a personal and professional Revive power flushing service to all my customers both private and trade. Finally, I would like to personally assure all my customers that I will always treat their property and its contents with the utmost respect. Whilst at the same time providing them with a professional and value for money service. All my work is fully insured and guaranteed to meet the building regulations standard for Revive power flushing system cleaning – BS7593-2006. 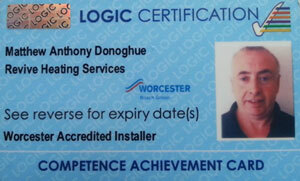 On completion of every powerflush, the customer is issued with a certificate of compliance with BS7593-2006. Contact Matt on 07881 717044 anytime.